Our Tree is Up and Only Four Bulbs Were Broken. Our tree is finally up at Hatchers Circle and only four bulbs were broken. Both Parker and Cooper were eager to help assist in this process. After two broken bulbs, we politely asked Cooper to sit and watch and Parker was only allowed to work with decorations that were guaranteed not to break. I did my best to keep my favorite ornaments away from their tiny hands and at least 36" off the floor. 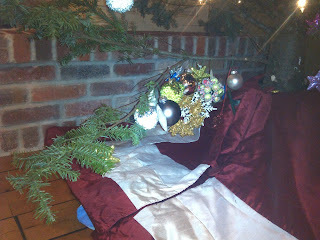 While I was busy focusing on the top of the tree, Parker was busy, making the bottom of our tree beautiful. 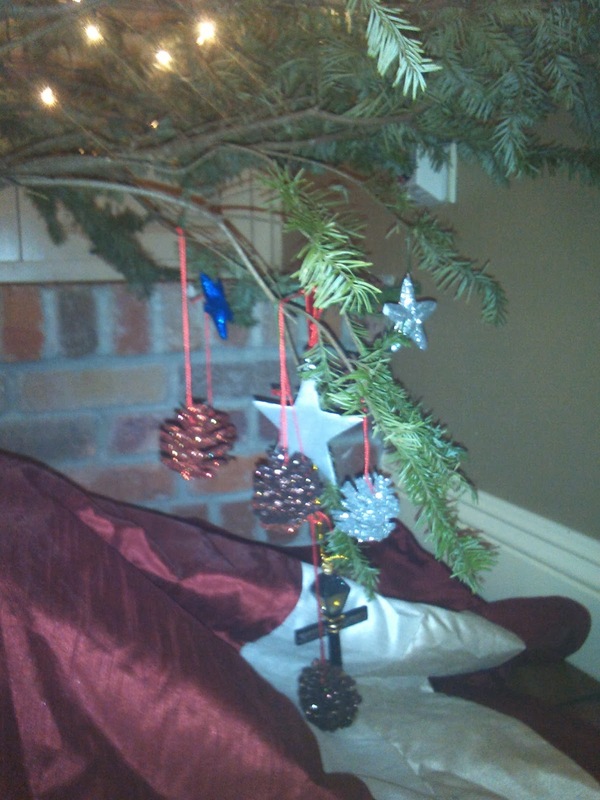 He worked furiously to put each ornament on the tree and as he finished, he jumped for joy and shouted, "I did it". My heart melted each time. I think there are approximately 20 ornaments between the two lowest hanging branches on our tree. He was so very proud of this work that I wouldn't dare move any of them. He is growing into such a fun little boy and I am definitely looking forward to his reactions this Christmas.